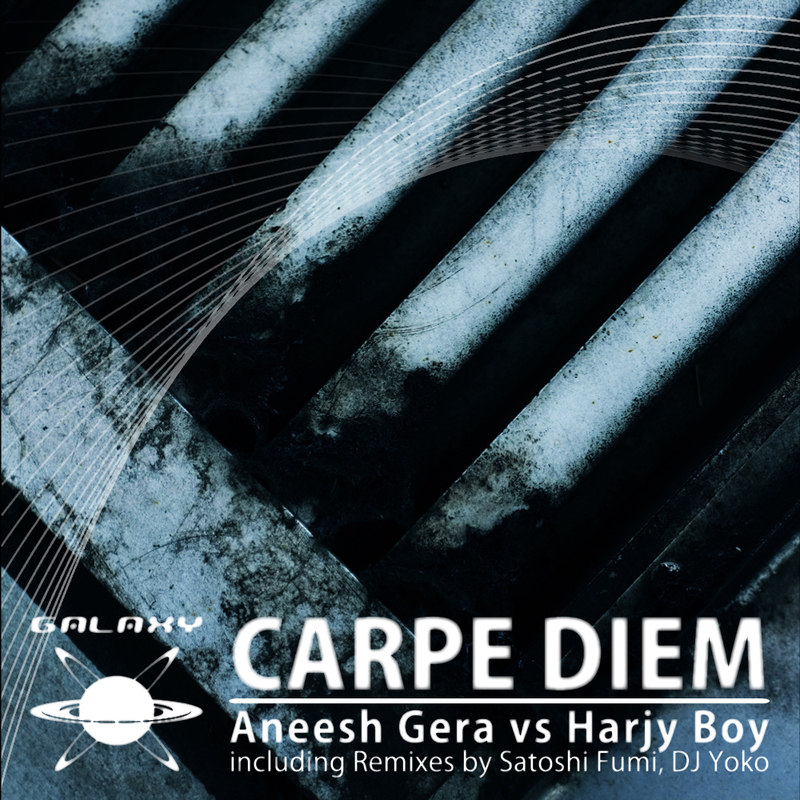 The 46th release of GALAXY RECZ is “Carpe Diem” by Aneesh Gera. Aneesh Gera is one of Top DJ/Producer in India. In his short time in the music production world, Aneesh had signed record deals with majors such as WARNER MUSIC UK / ERICK MORILLO’s SUBLIMINAL RECORDS / WHARTONE RECORDS / WEEKEND MILLIONAIRES etc and has worked with the likes of Grammy award winner ASHANTI / EMI UK / MINISTRY OF SOUND / GLOBAL UNDERGROUND / MTV / VH1 / FTV / GATECRASHER etc. With back to back releases hitting the WORLD TOP 100 CHARTS. Aneesh is earning of reputation of being a world class chart topping producer. His remix for CARL KENNEDY’s 2012 summer hit ONCE UPON A TIME peaked at no2 on the WORLD TOP 100 PROGRESSIVE HOUSE CHART on Traxsource.com which is signed to ERICK MORILLO’s SUBLIMINAL RECORDS. His latest track “Carpe Diem” is massive Progressive House. This release includ es remix by the hottest Japanese Deep Tech-House producer Satoshi Fumi and GALAXY RECZ resident producer DJ Yoko. Satoshi Fumi made the elegant remix that add piano and synth melodies to Original Mix. Furthermore, He also made Remix which added the female vocal which was not in Original Mix. DJ Yoko made Remix of more spatial groove. Here is a new project of GALAXY RECZ CREW with Aneesh Gera!! Nice tracks, just not really anything for my sets. Beautiful remixes by Satoshi Fumi and Yoko! Really great package! Original Mix for me. Thanks!! Quality house music with feeling. Great trax! Satoshi Fumi vocal remix for me. Thank you. Please check www.markusschulz.com for spins. Satoshi fumi’s dub mix all the way. That’s fantastic stuff.